The first Schwing S 38 SX mobile concrete pump has finally arrived in the UK! 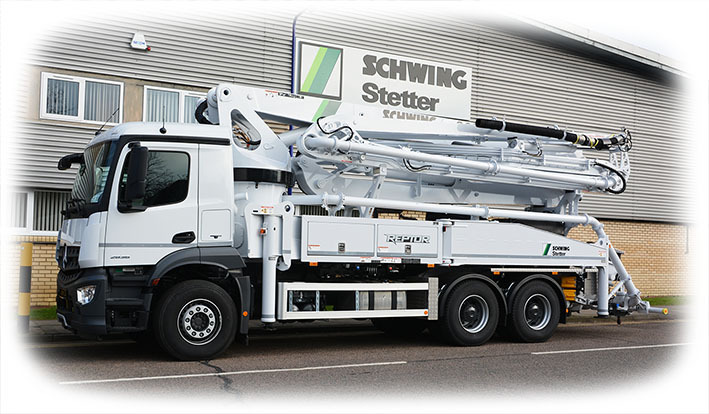 The 'Reptor' so named due to the booms ability to manoeuvre and reach into places other boom just can't reach, is a five section mobile pump that can open out in under 7.4 metres. Our key engineers had already been over to Germany to see this amazing new machine in action but now it is the turn of the rest of us to gaze upon it's majesty.